Inevitably, let’s check out Houston and Harvey. 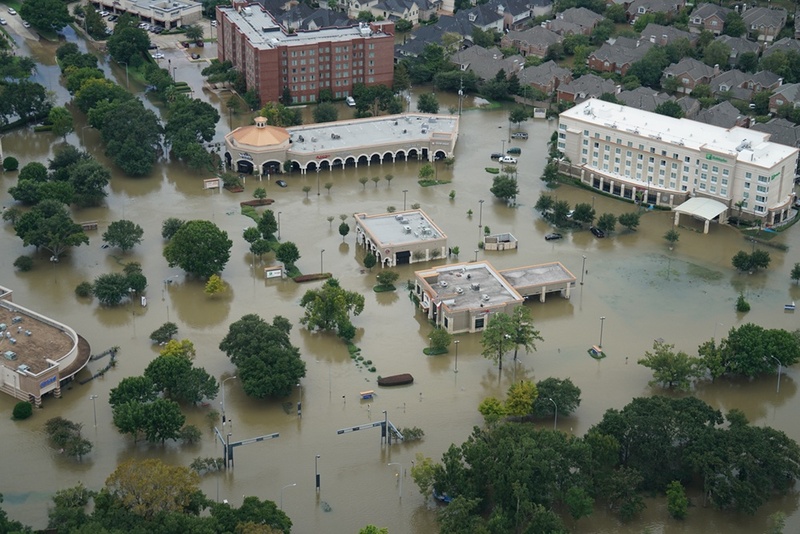 It’s not the first time we have looked at Houston (or the second, third, or fourth), because Harris County is the flooding capital of the Americas. Forget about 500 year flood zones – Houston has 6 month flood zones. It was a huge flood! Instead, let’s focus on this: only about 15% of flooded properties have flood insurance. FIFTEEN PERCENT! In Houston!!! It is inexcusable. It is nonsensical. It is crazy. Nowhere has the Protection Gap been more pronounced or tragic. Instead of benefitting from teams of adjusters to get their lives back on track quickly with claims checks, the majority of families and businesses need to rebuild their lives from scratch. FEMA is going to help them, but it is going to be slow and inadequate compared to even basic insurance coverage. The protection gap needs to be shrunk and closed because the cost of uninsured losses is too high. Meanwhile, insurance companies are waiting to underwrite the risk (because that’s what they do, and do very well). And, consider this: The NFIP gets criticized for owing the Treasury $24B while this one single storm is going to cost the Treasury at least a quarter of that sum in relief payments. No insurance program could reduce the tragedy of a storm so destructive. However, a functioning insurance program would ensure the recovery was much quicker and economically efficient. And insurers want to do it! Maybe later this month that system can come closer to happening.